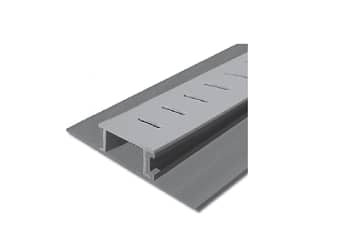 The Mini Paver Drain is designed to be used when 1” thick pavers are installed on an existing surface. The Mini Paver Drain is designed to be used when 1” thick pavers are installed on an existing surface. The extended base goes under the surrounding pavers to ensure a stable installation.